Occupying a superb 809m2 allotment with subdivision potential and surrounded by leafy views, this north facing character home offers a sensational blank canvas opportunity for family buyers. The home is comfortable now but also provides ample scope to renovate, rebuild or capitalise on the land size and potentially subdivide. It features large rooms with a green backdrop from almost every window, includes an updated kitchen and flows to a wraparound deck great for entertaining and taking in the district outlook. Around the property are established gardens with level lawns at the rear with potential for the dream outdoor lifestyle. 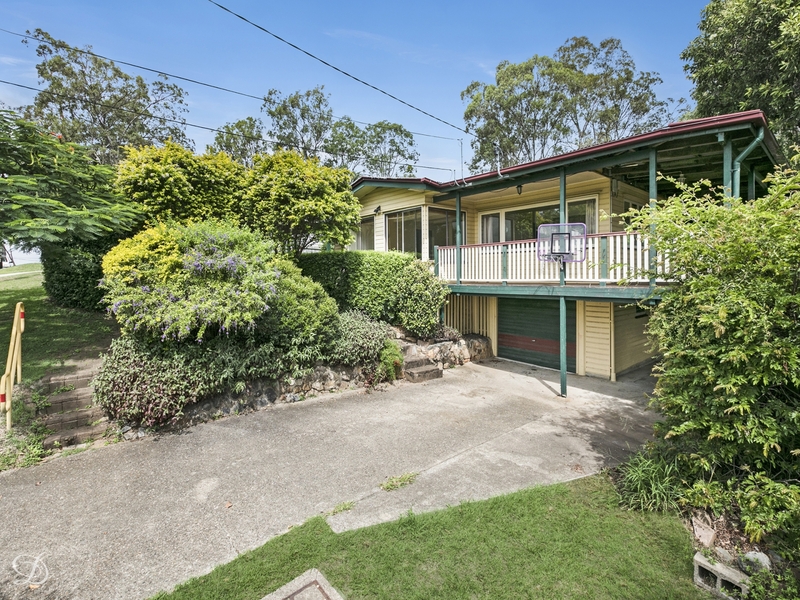 Located in easily one of Mitchelton's best streets, the home is conveniently placed within walking distance of shops, excellent schools and bus/rail transport, while the popular Blackwood Street area and Brookside Shopping Centre are both just minutes from home.